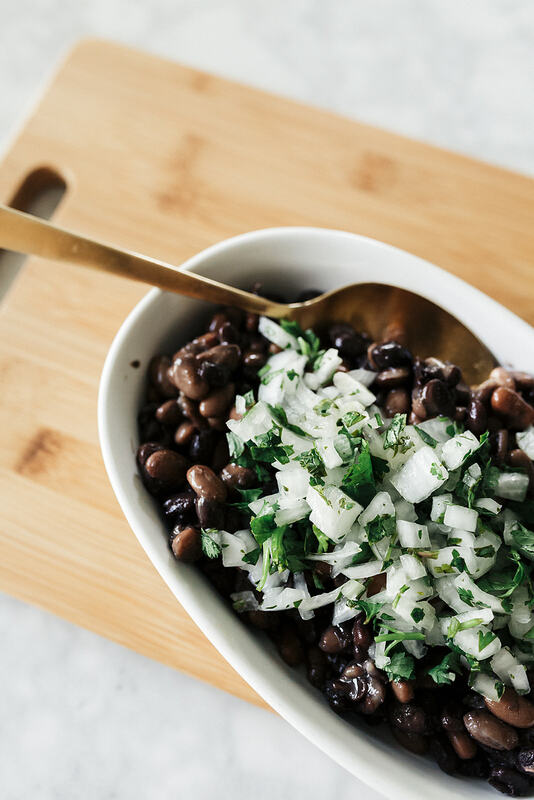 This simple, easy and oh so yummy bean recipe will be good as any Mexican side dish or honestly even on its own haha! You might also like… Taco Bowl and Oven Baked Fajitas!. 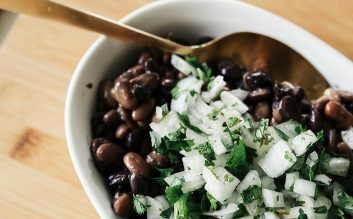 Step 1: Chop the white onion and the cilantro and mix in a bowl. Step 2: Juice the lime over the onion mixture, mix, and put it in the fridge until the beans are done.